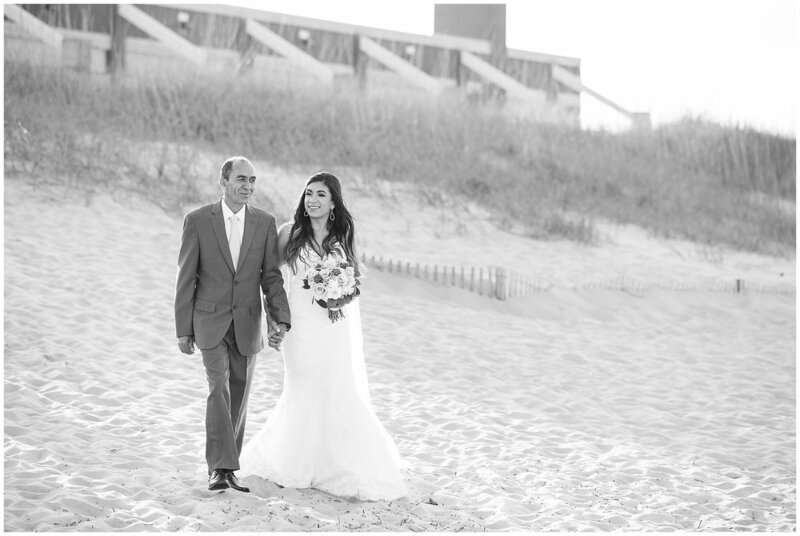 Loved being part of Paula and Kyle's gorgeous oceanfront wedding day! 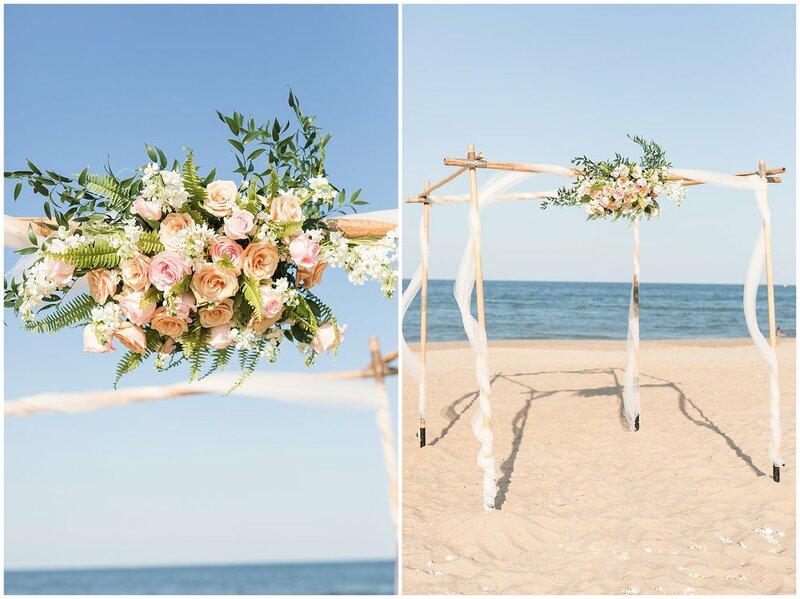 Paula said " She had always dreamed of a beach wedding." Her dream certainly came through on May 25th 2018. 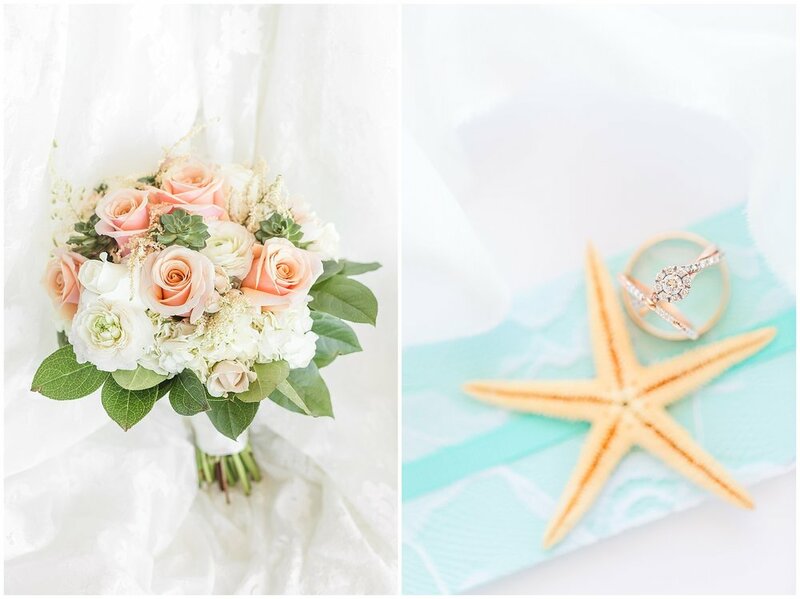 They chose the prettiest wedding colors to compliment their theme for the day. Mint and grey were the main colors. Then the bouquets were STUNNING from Norfolk Wholesale Floral. 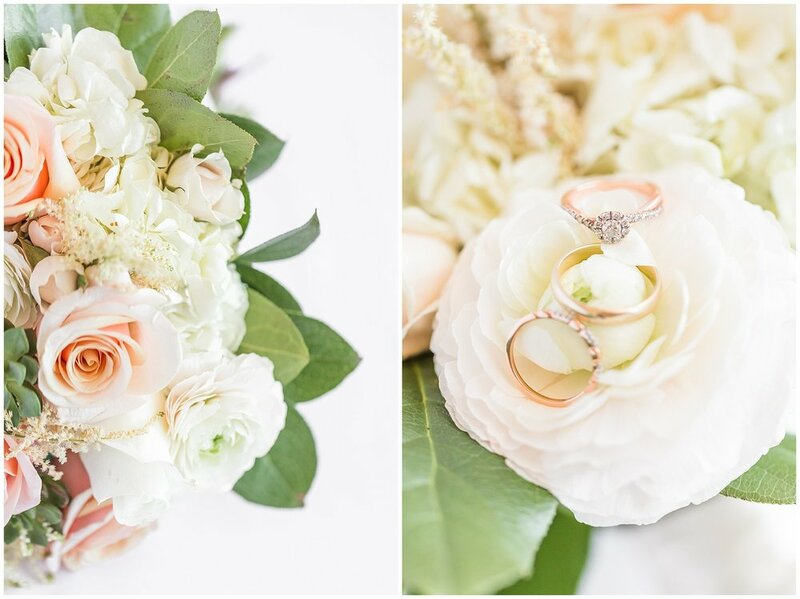 Peach roses, succulents, and several other florals made up the flowers. 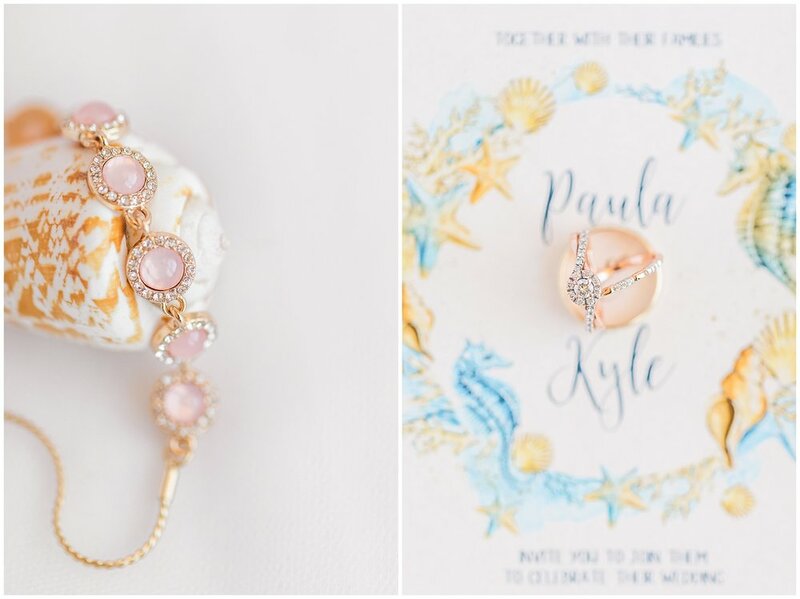 Paula's details were all rose gold! Perfect combination to tie in all her Pre-Ceremony photographs. It was a lovely day for a wedding. 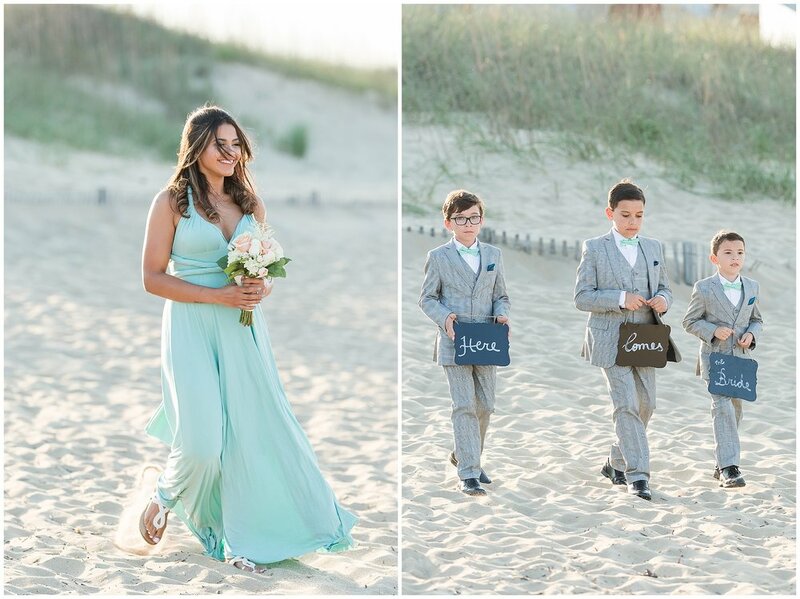 They were blessed with completely blue skies for the Ceremony, and finished the days photos with a pretty mix of a purple and blue sky for their background on the water in Virginia Beach. So happy for Mr. and Mrs. Hohman! 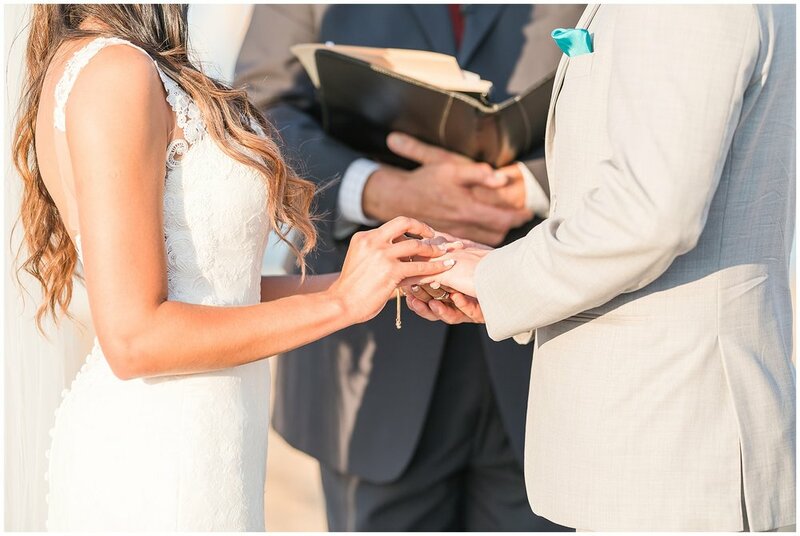 It was a wonderful day, and we were blessed to be a part of their day! Here are some of my favorites!